Yet another cause for celebration! Yay! You're on the home stretch now! 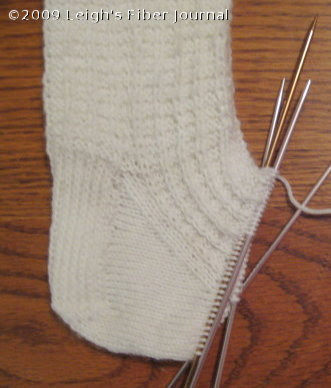 Then of course there is the second sock. I always find that the second of anything seems to take twice as long to finish. With everything going on, you found time to fiber! Sock 1 or sock 2?? looks nice, keep on knitting. Always happy once the heel is turned! Onward to the toe!